Being a vegan isn’t always easy because it can sometimes prevent you from enjoying some of the more delicious and tasty foods out there. This can be particularly hard for those vegans out there with a sweet tooth who get the urge for dessert on a regular basis. There are so few desserts out there made for vegans, and this can be frustrating when it comes to dessert time, and you’re out for dinner. Well, vegans of the world don’t despair, there is a solution. Salvation has come, in the most unexpected of ways. 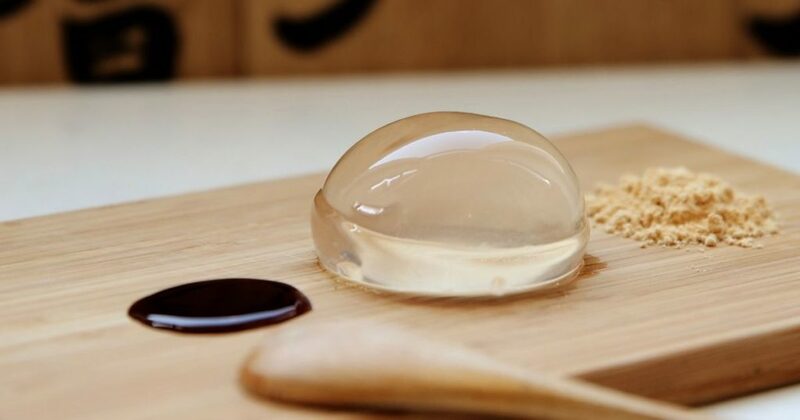 Welcome to the new ‘raindrop cake,’ a zero calorie dessert perfect for vegans. This is a new dessert set to revolutionize the vegan world and make desserts much more fun again. So, let’s find out a bit more about this quirky dessert, and how you can get your hands on it! 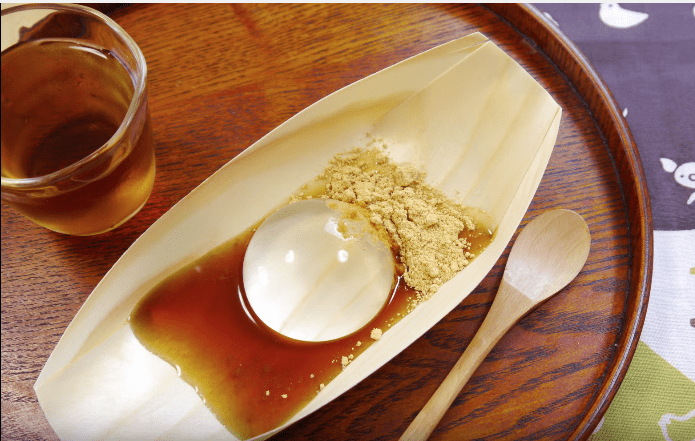 Raindrop cake is a controversial and quirky new dessert inspired by the Japanese cuisine. It’s a crystal clear cake that resembles a giant water droplet. You’d be forgiven for thinking this is a little too quirky, and certainly not an actual dessert. But, apparently, it has become extremely popular and is already proving a game-changer among the vegan community. The dessert kind of resembles jelly in some ways, but, the fact it is clear is even more amazing! It doesn’t look much like a dessert, but it could well change your life! This is a dessert that is incredibly easy and simple to make, and that’s probably one of the reasons why it has become so popular. The cake is lacking in flavor, but you are served tasty molasses syrup and roasted soybean flour with it for an injection of flavor. In fact, the only ingredients used in the making of the dessert are water, sugar, and agar powder, which is basically a gelatin substitute. That is literally it, so you can understand why the cake is so easy to make. The ingredients are all mixed together and boiled up in a pan, then the boiled mix is transferred to a mold, and kept in the fridge overnight. It then partially solidifies to the shape of a water droplet – hence the name. It’s important that it is left overnight otherwise the mold won’t set properly, and the dessert will come out as liquid. It has the textures and consistency of jelly, but it completely clear. Unfortunately, the cake is a pretty new invention, and, as such, it isn’t exactly ubiquitous at the moment. Head to Yamagoya restaurant in the Chinatown area of London, where you can order it as a palate cleanser; it will only set you back around £2.30 – that’s a bargain! Apparently, you can also find the dessert at Smorgasburg, which is a food market in Brooklyn. So, if you are US based, and you just can’t go without this cake, head to Brooklyn and try it now. 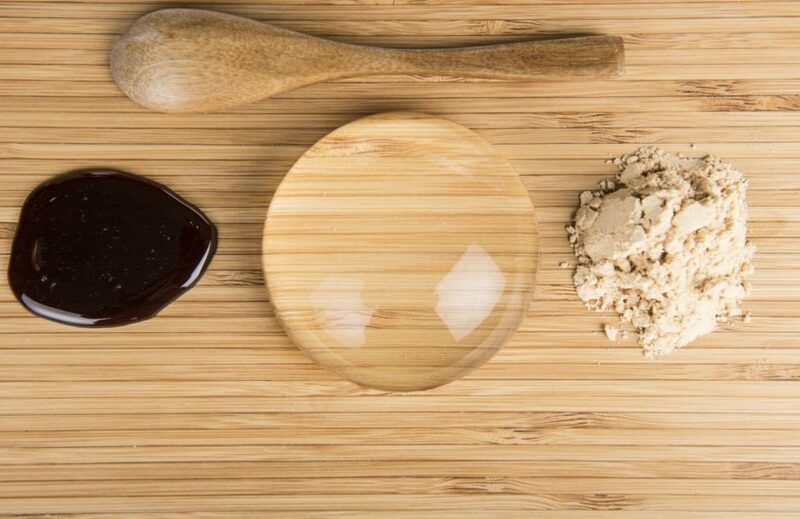 The raindrop cake is definitely going to signify the future of vegan-friendly desserts. ¿Donde Se Encuentran Los Famosos Medallistas Olímpicos En La Actualidad?